Kampala, Uganda | THE INDEPENDENT | The Fund for Export Development in Africa (FEDA), the equity investment fund created recently by the African Export-Import Bank will catalyse foreign direct investment (FDI) flows into Africa’s trade and export sectors. Prof. Benedict Oramah, the bank’s president, said during the opening of the Financing Investment and Trade in Africa conference organized by the Tunisia-Africa Business Council in Tunis on Feb. 05 that Afreximbank’s vision was to leverage $1 billion in support of FEDA&#39;s mission and to catalyze four times that amount in FDI in five years. He said the kind of equity funding currently available in Africa was not appropriate for turning the continent into the trade hub that it needed to become in order to achieve desired growth. He said FEDA would ensure that investors’ investments were protected under the immunities and privileges available to Afreximbank and that the investments enjoyed tax privileges and incentives. 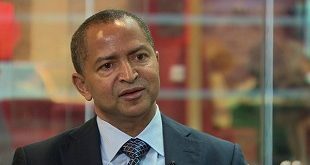 He described development finance institutions as market failure institutions that existed to complement what markets were unable to offer or that begin to create markets, explaining that, as a result, Afreximbank’s interventions were based on the philosophy of bringing additionality, rather than displacing commercial banks. Afreximbank was making it possible for financing to come into Africa, he said. The Bank had just expanded its guarantee offering to make it more accessible to companies coming into Africa, including through its Intra-African Investment Guarantee Facility. On infrastructure, the President said if the continent looked inward, it could find the funds to meet its infrastructure needs. 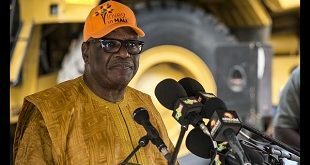 According to him, with the about $700 billion under management by African pension funds and the reserves kept abroad by African central banks already adding up to about $1 trillion, the funds are already adequate to meet Africa’s need. However, because they are outside the continent, and those keeping them deem it too risky to invest in Africa, the funds are not being invested in Africa. 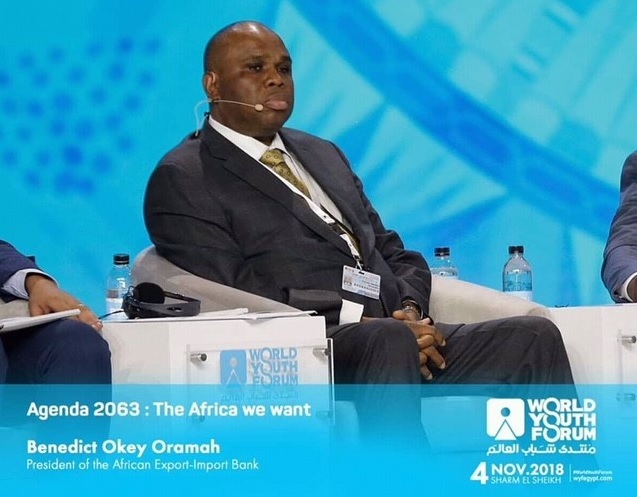 President Oramah announced that Afreximbank was developing a platform that would make it possible for cross-border trade to occur in local currencies across Africa. The Bank was discussing with the Association of Africa Stock Exchanges to use the platform to bring liquidity to the member exchanges. He said that there was need for a change in mind-set and for regulatory reform that would allow the creation of pan-African solutions in order for liquidity to come to some of the African exchanges to enable them can carry infrastructure funds. Tunisian businesses trading with the rest of Africa and had approved $300 million for six Tunisian banks under its Afreximbank Trade Facilitation Programme. 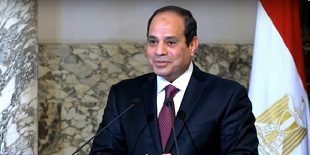 It was also considering reopening its Tunis-based Regional Office for the Maghreb Region in order to revive trade flows between North Africa and the rest of the continent and to be nearer to Tunisian businesses.